Celebrate the original trilogy with each shot! 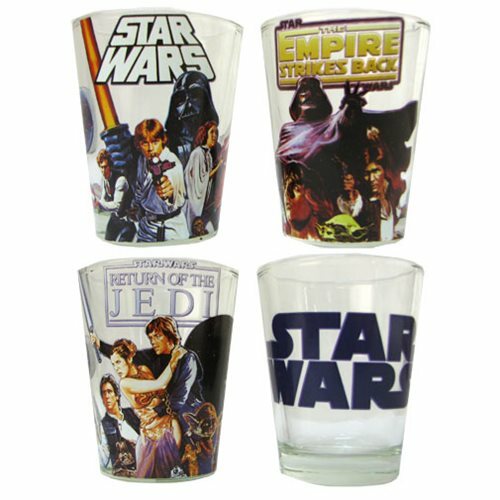 The Star Wars Original Trilogy Mini Glass 4-Pack includes one glass spotlighting each film - Star Wars, The Empire Strikes Back, and Return of the Jedi - plus a fourth featuring the Star Wars logo. Hand wash only. Not dishwasher safe. Do not microwave. Measure approximately 2 1/2-inches each. Set of 4, 1.5 ounce glasses.